Yet another milestone for the Eagles. A year ago, they picked up their first winning season since 2002. Now, they have got to six wins and it is possible they will win seven games in the regular season. The six wins is the most since the Eagles went 8-1 in 2001. Mountain View has clinched the top seed from the 3A GSHL. Kelso has clinched at least a tie for second place and, at the very least, will be in a tiebreaker if three teams tie for second place. Hudson’s Bay, Evergreen, and Prairie are all alive. Mountain View has already clinched the top seed. If Hudson’s Bay beats Kelso and Evergreen beats Mountain View, there would be a three-way tie for second place with Bay, Evergreen and Kelso. If Kelso beats Hudson’s Bay and Mountain View beats Evergreen and Prairie beats Fort Vancouver, Kelso is No. 2, and there is a three-way tie for third place between Bay, Evergreen, and Prairie. That last scenario is what happened last year. 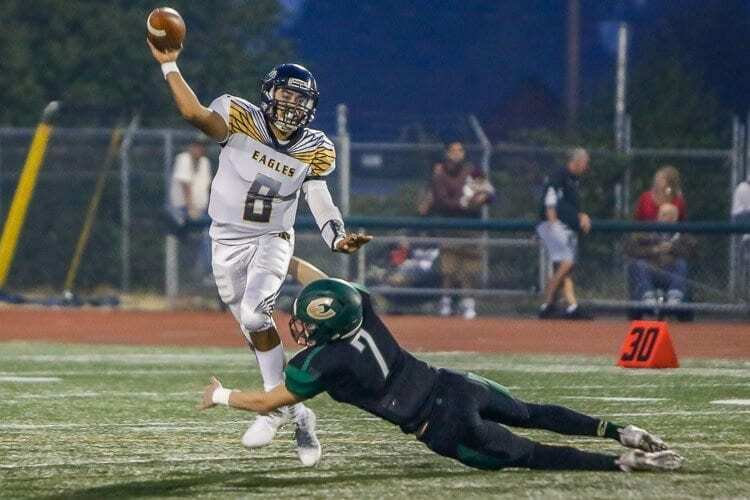 Evergreen, Hudson’s Bay, and Prairie got together for a three-team tiebreaker on the Monday after Week 9. That could happen again this year. As expected, Hudson’s Bay had no trouble taking down Fort Vancouver in the Peace Pipe game. Not going to go into too much detail in a 54-0 win. Instead, I’d like to highlight a play by Carter Morse for doing the right thing by not doing much at all. Earlier this year, I wrote a similar note on Union’s Dustin Nettles for doing the right thing. In Week 8, I saw Carter Morse and I wanted to highlight him. Julio Vara caught a pass from quarterback Brian Perez and was off to the races for an 84-yard touchdown play. Way downfield, Morse came into the play from his receiver position. There were three Trappers trying to catch Vara. Morse zeroed in on the Trapper who was closest to Vara. In the old days of football – well, not even that long ago, actually – Morse likely would have been coached to crush the opponent with a huge block. Nowadays, not only is that a penalty, but more importantly, it is dangerous. Morse could have crushed the defender who would have been in a defenseless position. Instead, Morse simply ran in front of the defender, got in his way, and slowed him down. And nobody was hurt on this play. I happened to be on the sideline during this play and saw it right away. Couple days later, when I mentioned it to Hudson’s Bay coach Ray Lions, he knew exactly the play I was talking about because, he, too, saw Morse’s positive move. What did Lions think of his team’s performance in Week 8? “A good job by all personnel. We say that because our first group did a great job taking care of business quick, which allowed for an opportunity for our young players to get Friday night experience. We believe the main reason had to do with the level of focus for practice each day prior to the match up. It would have been easy to overlook the importance of our Week 8 game with so much on the line for Week 9. Instead, we got back to the fundamentals and challenged our up-and-coming players to be ready come Friday night. Thoughts on Week 9 vs. Kelso: “Another big one, but yet it is just another one,’’ Lions said. “There is going to be a lot of hype for us and the importance of this win. There’s no question, it is true in that a win this week means a lot of great things. 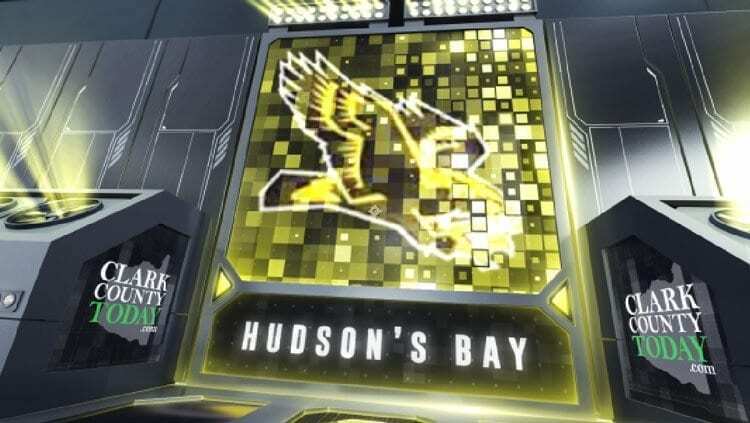 To be honest I don’t know the last time Hudson’s Bay has made the playoffs, but that would be the first thing to note. The second, would be a second-place finish and a better matchup for a following week playoff game. “Finally, a win would establish our program as one to reckon with. When we first met with this group of players (in May) we discussed the importance of continuing what has been established from last year’s group, but on the same hand not to be satisfied with that. We want to improve it where we can and in some aspects we have done that. It has been 16 years since Hudson’s Bay has won 6 games in the regular season and that is improvement from last year. But, as most of these players will tell you, that is not enough. Our goal has been to play in November. Kelso is the next team that stands in our way. The great news is that we are in control of our own destiny.